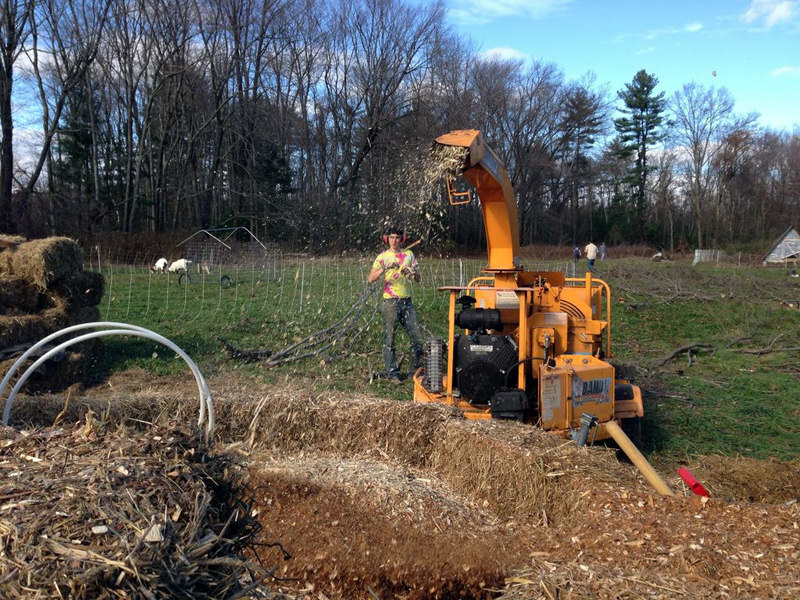 The Pain Mound is a large pile of woody biomass, aka mulch. 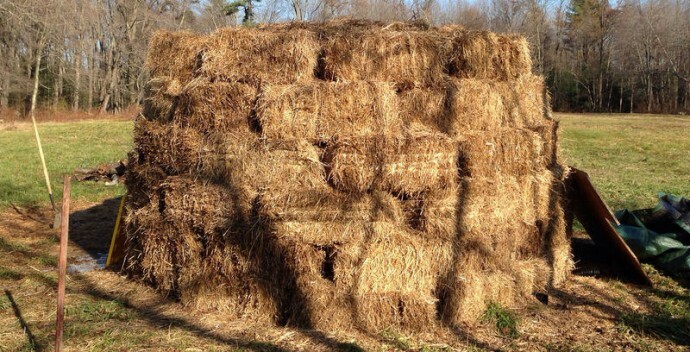 Invented by French farmer Jean Pain in the 1970s, it is made of woodchips and sawdust, surrounded by a ring of hay bales for structure and insulation. 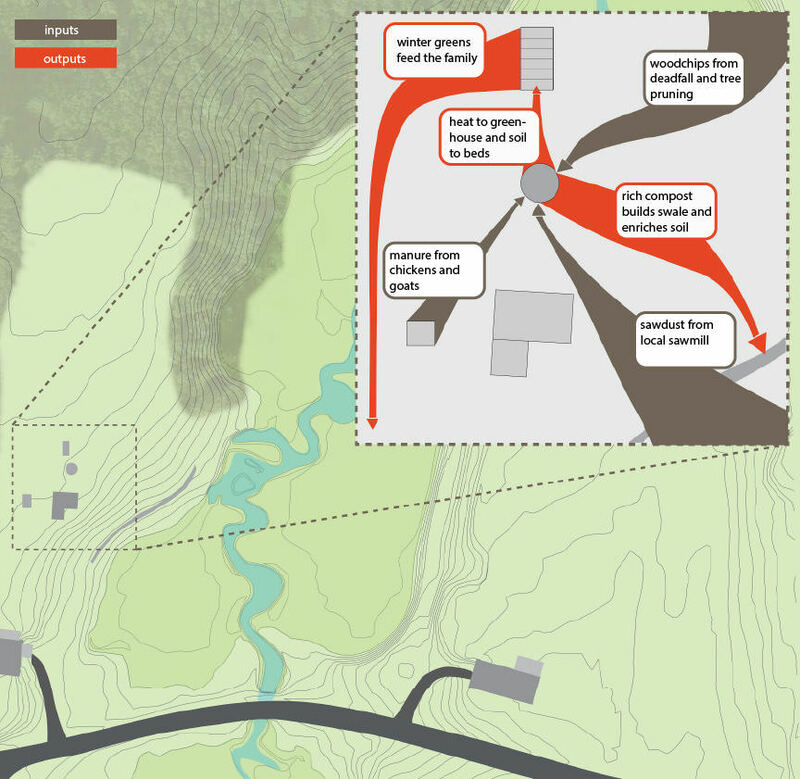 As the Pain Mound decomposes, heat is produced and harnessed using a hydronic loop. 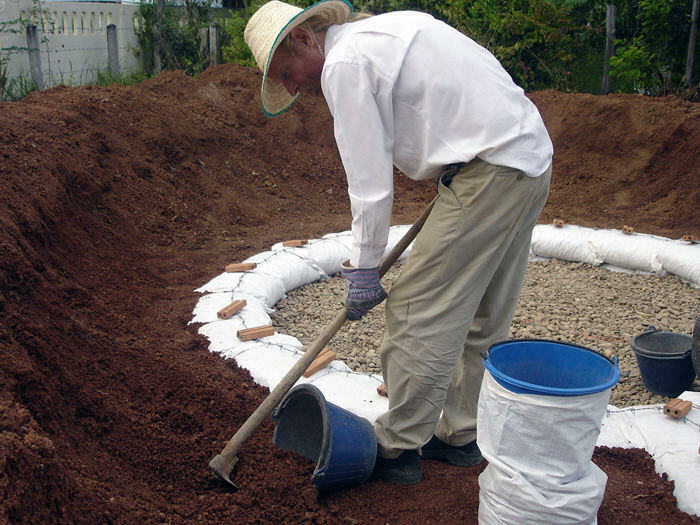 The Pain Mound will produce heat for up to 18 months, after which time the remains (nutrient rich, earthy humus) can be used to build soil. 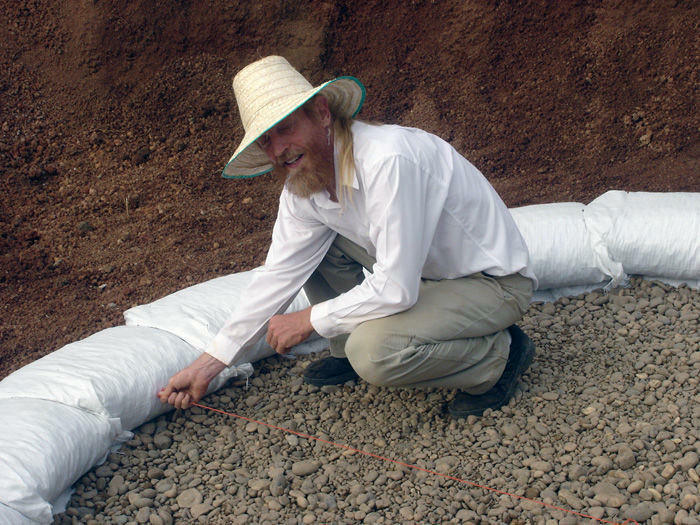 Lay about 15′ of perforated 4″ tubing at the bottom of the mound, with each end protruding out of the perimeter. 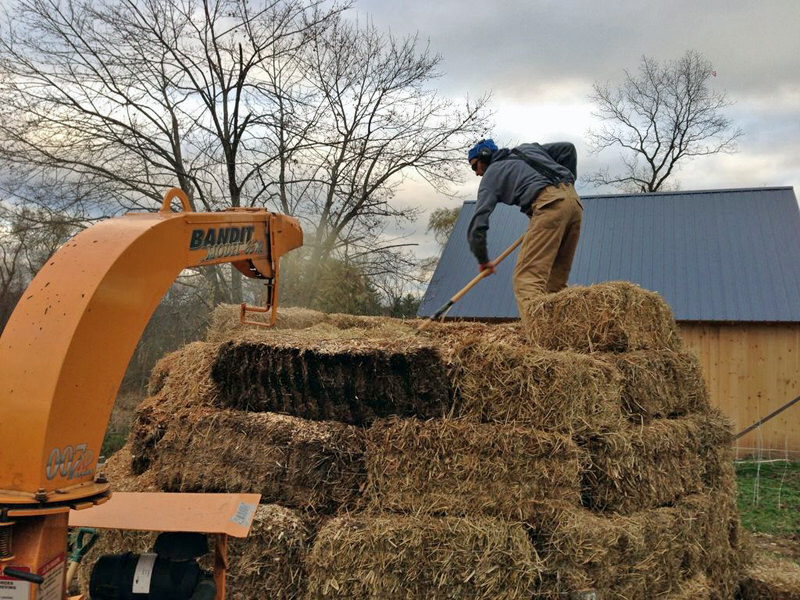 Create a “backstop” of haybales to catch the woodchips as they are thrown from the chipper into the mound. 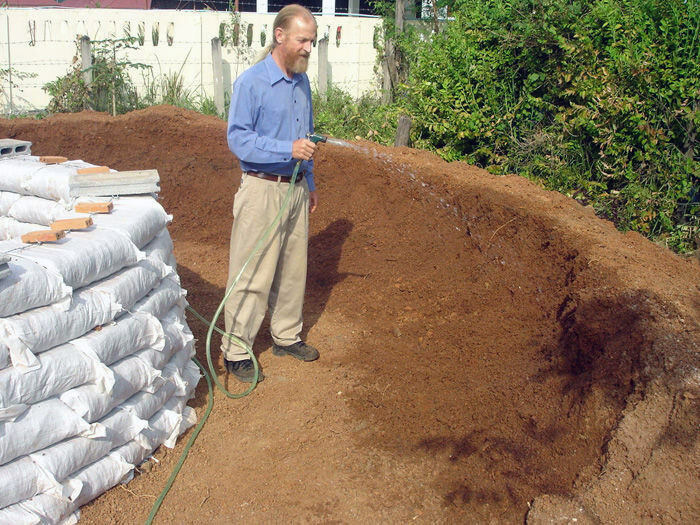 Chip a layer of woodchips approximately 1′ high into the mound on top of the aeration pipe. Step 4: Chips and Sawdust! 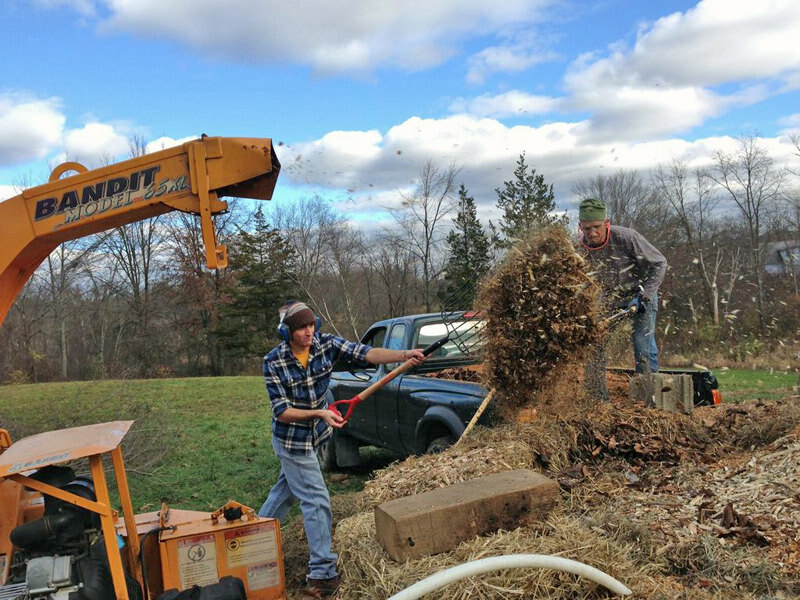 Chip wood into the pile, intermittently stopping to throw shovelfuls of sawdust in. The high carbon content of both materials create a lot of heat when decomposing. 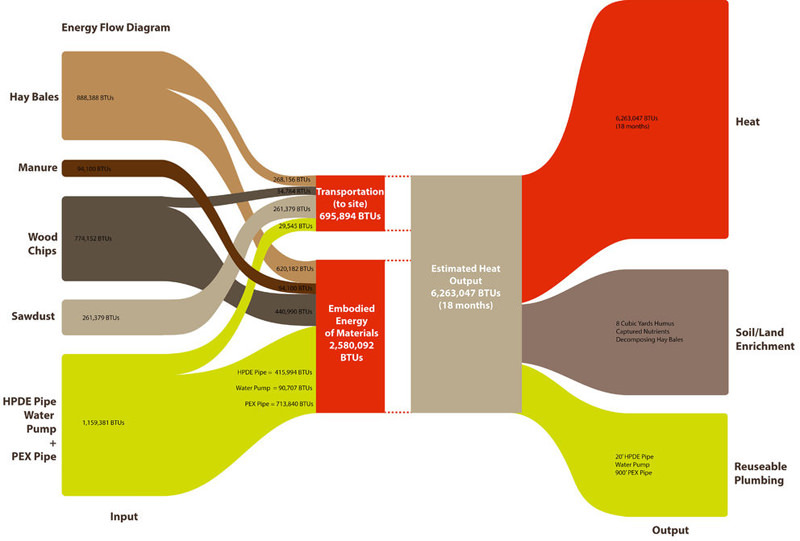 Once you get started, this project should take 1-2 days of labor. 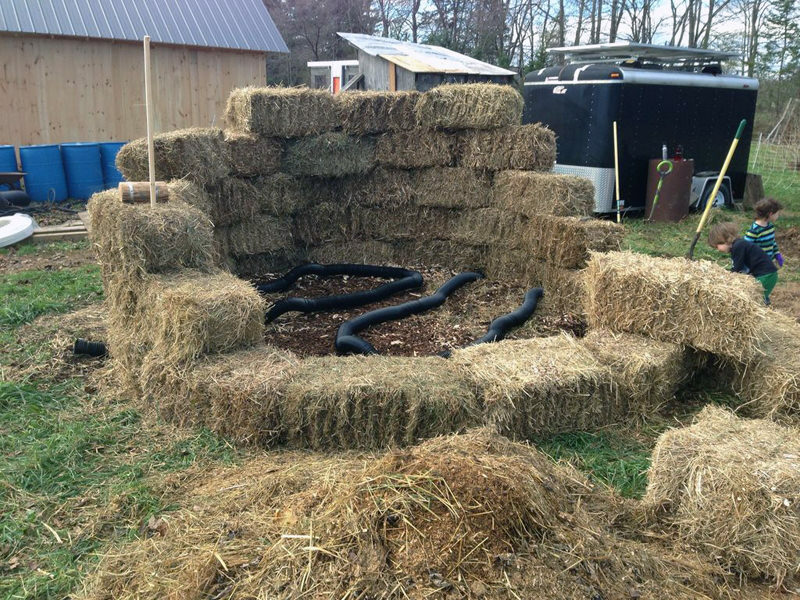 Keep looping in water pipe and building up the hay perimeter as you add woodchips and sawdust. 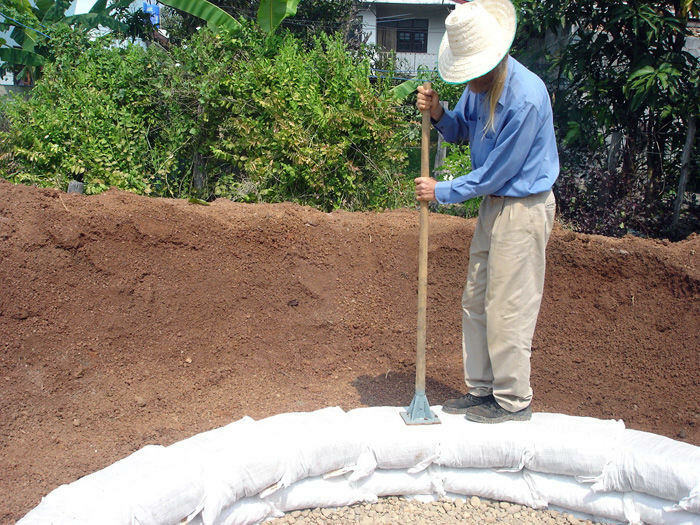 Throw in some manure – any animal will work – if you have any. 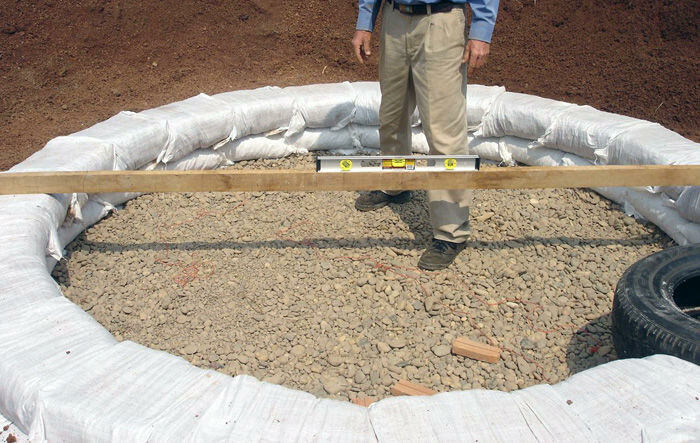 The Pain Mound can be used to heat hot tubs, greenhouses or hydronic heating systems. Plan out your location carefully ahead of time so that you are close to the thing you will be heating. 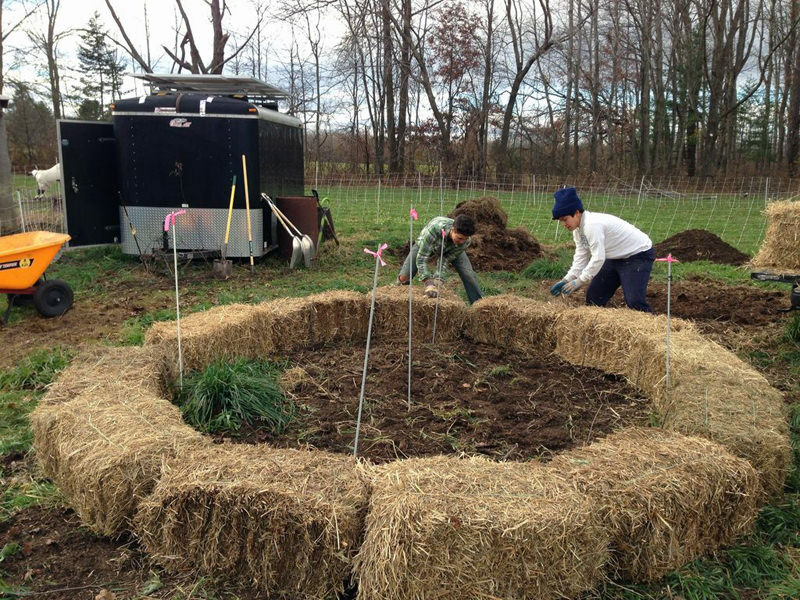 In the diagram shown here, we hooked up a pain mound to a greenhouse. 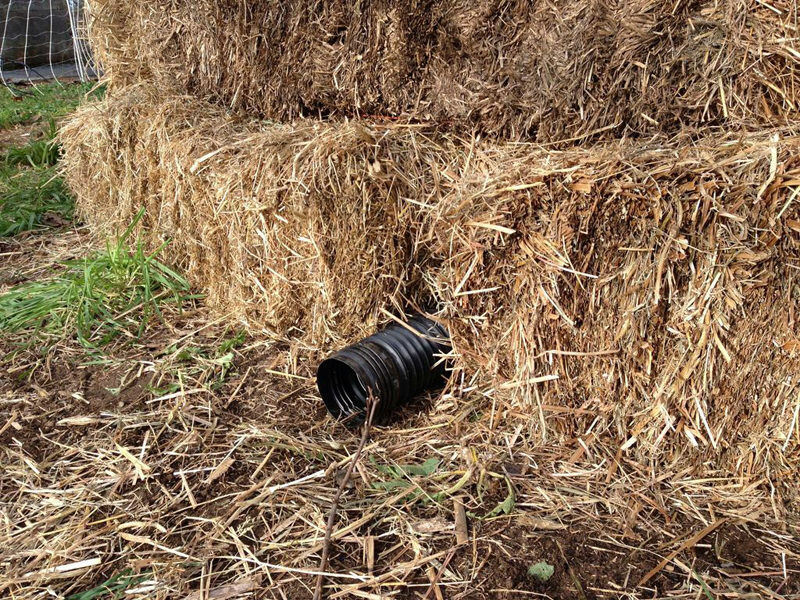 We buried the water lines so that we would not lose additional heat to the outdoor air.